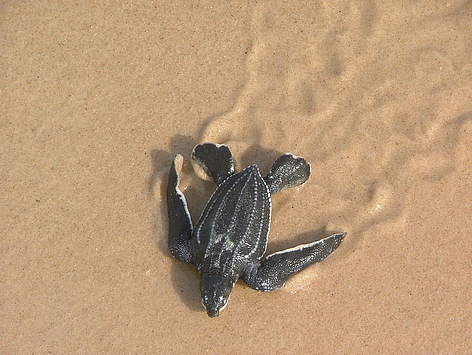 WWF Gabon’s marine programme was officially created in October 2011. Since then, we have developed solid collaboration agreements with the Gabonese Government and major conservation NGOs (IUCN, WCS and Smithsonian Institution). In 2014, Gabon announced its decision to create a network of marine parks covering about 23% of its territorial waters and exclusive economic zone (EEZ), within which no commercial fishing will be allowed. 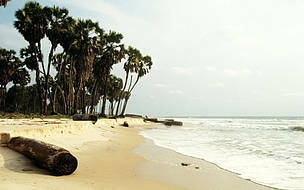 Redefinition and development of management plans for coastal protected areas, currently defined as Ramsar sites, focussing on the Lower Ogooué and the Ndougou watersheds. Marine surveys to monitor marine mammal distribution and human activity in the nearshore areas of the Gamba Complex. We are working with the WWF Smart Fishing Initiative to promote and support the wider use of the Automatic Identification System (AIS) to monitor fisheries and other vessel traffic in Gabon. This will increase transparency and traceability for all fishing vessels operating in Gabon’s waters. Our support includes providing off-site expert processing and analysis of remotely collected AIS data. Off-site expert processing and analysis of remotely collected AIS data. WWF Gabon has coordinated the drafting of environmental best practice guidelines for offshore oil exploration and production. We are now working with our Gabon Bleu partners and the Department of the Environment to make sure these guidelines are adopted by the government and disseminated to stakeholders. Subsequently, we plan to work with the relevant government authorities to monitor the implementation of the recommended good practice. This includes the adoption of environmental impact assessment (EIA) guidelines for offshore oil exploration and production by all stakeholders (oil companies, government, private sector). 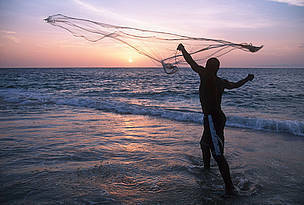 A fisherman casts his fishing net on the coast at sunset Gabon.